Obituary for Todd David Anderson | Edder Funeral Home, Inc.
Todd David Anderson, 57, of Lake City, passed away on Sunday January 27, 2019 at his home following a brief illness. He was born in Erie August 27, 1961, a son of Norman D. Anderson, Karen P. Fosburg, and Philip H. Perry. Todd graduated from Northwestern High School in 1980. He enlisted in the US Navy in 1981. Initially stationed in Philadelphia, he was later stationed at Mayport Naval Station, Jacksonville, FL., and Norfolk, VA. He served aboard the USS Saratoga (CV-60), the USS Fort Fisher (LSD-40), the USS Sierra (AD-18), and the USS La Moure County (LST-1194). Later in his career Todd was stationed at Naval Weapons Station, Goose Creek, Charleston, SC. As a Recruiter, Todd was stationed at Naval Station San Diego and Binghamton, NY. As a Naval Recruiter from his final duty station in Bradenton, FL, Todd retired from the United States Navy on November 30, 2001. He was awarded the Navy and Marine Corps Commendation Medal (X2), The Navy and Marine Corps Achievement Medal (X4), the Meritorious Unit Commendation (X2), the Navy Expeditionary Ribbon (X3), the Good Conduct Medal (X5), the National Defense Service Medal, the Armed Forces Expeditionary Medal, the Southwest Asia Service Medal, with two bronze stars, and the Humanitarian Service Medal. He also received the Sea Service Deployment Ribbon (X3), the Navy Recruiting Service Ribbon, the US Coast Guard Meritorious Unit Commendation Ribbon, Rifleman Ribbon (Marksman), the Pistol Shot Ribbon (Marksman) and the Enlisted Surface Warfare Specialist Insignia. 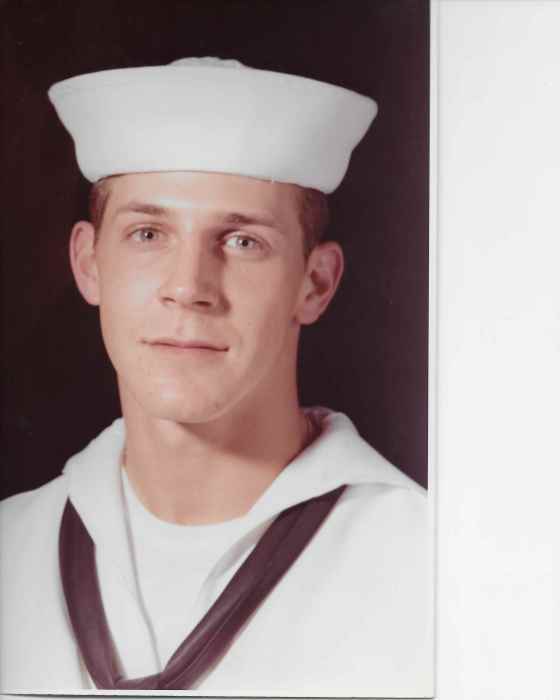 Following his distinguished Naval career Todd was regional Manager at Walgreen's Pharmacy in Southwest Florida and also worked in the HVAC industry in the Florida area. He worked as a Maintenance Technician at Lake Erie Correctional Institute, in Conneaut, OH and most recently as an over-the-road truck driver for Kuhnle Brothers in Ohio. Todd was an avid outdoors-man, loved kayaking, fishing, reading, drawing, and writing. He loved his dogs, Missy and Muffin. He was preceded in death by his maternal grandmother, Ruth Diebler; his paternal grandparents, Harry and Catherine Anderson; and Ross and Harriet Perry, also a nephew, Kory Perry. Todd will be greatly missed by his family, which in addition to his parents, includes his wife, In Kyong O Anderson; his sons, Ron MacNeal (Anne), William Anderson (Sydney), David Anderson (Ashley); his grandchildren, Karina MacNeal, Mykayla MacNeal, Jayden MacNeal, Abigail MacNeal, Ryan Anderson, Ethan Anderson, Abraham Anderson, Todd D. Anderson, Atia Anderson. Todd is also survived by three sisters: Mollie Bennett (Loren), Michele Amore (Edward), and M.E. Mullen; and three brothers, Terry Anderson, Timothy Anderson (Michael), and Ty Perry (Regina). Additionally, Todd is survived by many nieces and nephews, several great-nieces and a great-nephew. There will be no calling hours or services observed. In lieu of flowers; memorials may be made to Friends Forever at Pleasant Ridge Manor, 8300 West Ridge Rd., Girard, PA 16417.